The battle for many American heroes continues for years after returning home. Too often these burdens cause our returning warriors depression, anxiety, financial struggles and marriage problems. WLS Foundation is made up of veterans who have experienced first-hand the devastating consequences of trauma, along with supporters dedicated to improving the lives of our veterans . We have a great appreciation for the service and sacrifices that veterans and families have endured to fight terrorism, preserve freedom, and protect democracy. We know that this has come at a great price and we want veterans and their family members to know that they have someone in their corner. Over 2.7 million veterans have served in the wars in Iraq and Afghanistan, and 2.6 million served in Vietnam. Although mental health professionals think the number is much higher, it has been estimated that 20% of veterans have PTSD and/or Depression, over 540,000 veterans from Iraq and Afghanistan. Divorce rates for veterans are double that of veterans without PTSD. WLS Foundation exists to strengthen veterans and their families in the fight to heal from trauma and live well. Medical professionals will tell you that time spent outdoors will foster mental and physical health. 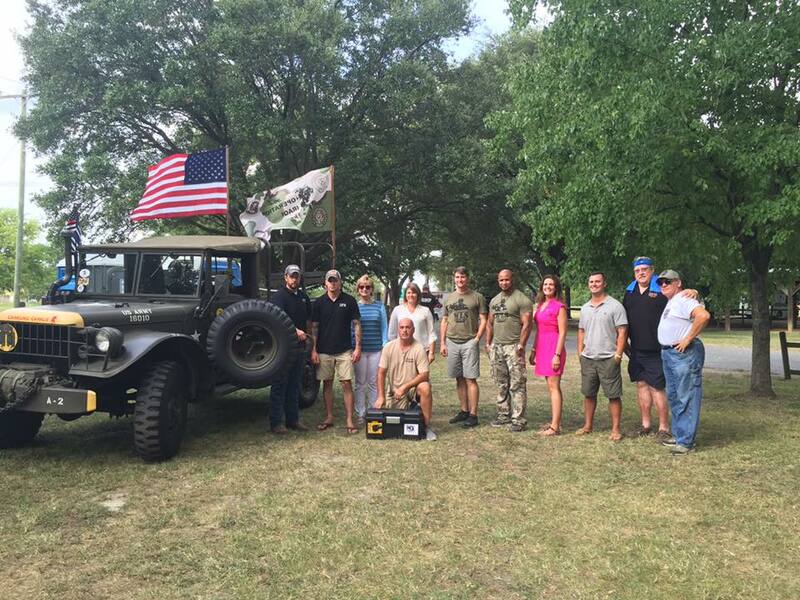 WLS Foundation believes strongly in this concept and has developed a number of non-clinical outdoor recreation events for veterans and their families. Through one-on-one outings, veteran-only workshops and multi-family retreats, WLS Foundation provides “no cost” outdoor recreation opportunities to engage the healing power of the Great Outdoors. The WLS “Never Forgotten” program serves veterans of all ages through nursing home visits, meal delivery services and a variety of events to show veterans they are valued, loved and never forgotten. Community volunteers are critical for this WLS program. From financial planning to legal services and employment counseling, WLS Foundation has a strong network of partners available to service the individual needs of each veteran. WLS helps to navigate through the system to find the partners to best serve the distinct needs of each veteran, thus providing a greater holistic and person-centered approach to care. This assistance is designed to connect them with the resources necessary to promote financial and emotional stability. Services include, but are not limited to: financial planning, home loans, legal services, employment counseling, equine therapy, service dogs, drug rehabilitation and more. People often underestimate or minimize the effects of trauma. It impacts multiple areas of life to include thoughts, emotions, spirituality, physical health, relationships, finances and job performance. The secondary consequences of trauma are significant and wear down your ability to deal with stress over time. It can leave you feeling trapped, hopeless, anxious or depressed. You may think that you are too good, professional or tough to experience what you are going through, but the reality is it has nothing to do with that. It is a lie that prevents recovery and healing. If you are encountering any of the following signs know that there are people who care and resources that matter. Please contact us for more information on veteran services or if you are interested in being a volunteer for any of our programs.